If you are asking yourself this question or typing this question into Google, then you are likely embarking on one of life’s most exciting adventures ever—you are on the road to bringing home a puppy! There are few things in life as exciting as getting a brand-new puppy. Oh, how we love those small warm bodies, those wiggly tails, those wet noses and sticky tongues! Who can resist a puppy’s squishy paws, soft fur, and clumsy play? But puppies are not all fun and games. Puppies are also a lot of work. So, you asked “what do I need for a puppy”, and we have the answer! Here is our basic what-you-need-for-a-puppy checklist! Before you get your puppy, it’s best to prepare! But don’t worry, you’re on the right track. 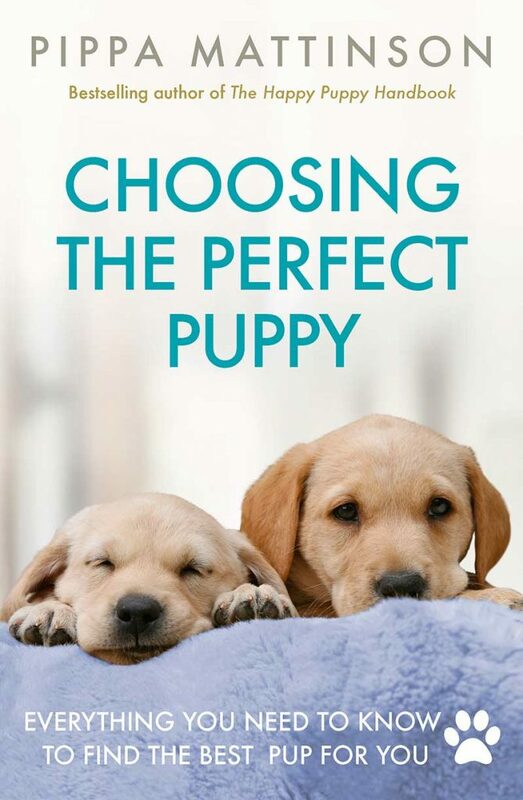 You’re already asking “what do I need for a puppy” which means you’re doing your research. We applaud you! We are also slightly jealous because puppies are awesome. And to help you on your way, we have everything you need for a new puppy listed below. Get your pen and pad ready, because here are all the supplies needed for a puppy. What do I need for a puppy? What you need for a puppy are as follows. So now you know what your puppy needs, but what a new puppy needs goes beyond just making a list. Why are all these things needed for a puppy, anyway? Are the supplies needed for a new puppy really that important? The truth is, being proactive before getting a puppy is going to ease what could be a somewhat exhausting process. Not to mention that the above list of things needed for a puppy are things that are going to help you and your new puppy thrive! So, let us explain why the above-listed items needed for new puppy are so important. Up until your puppy is one year old, he will need a high-quality puppy food specially formulated for his age, size, and development. Puppy food contains more nutrients than adult dog food does and a puppy needs these special nutrients to grow and develop properly. Your puppy might come home with a bag of the food his breeder has weaned him onto. Either way, continue to give him the same diet he was weaned onto when he arrives, and make any changes gradually. 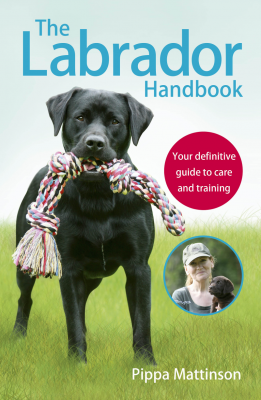 Ask your vet if you’re unsure when or how to transition to a new diet. Also, keep in mind that larger breed puppies are going to need different types of puppy food than smaller breeds. Make sure you read the puppy-food packages to be sure you are getting your puppy the proper food for his breed. Larger breed puppies should eat puppy food that is formulated for their rapid growth into adulthood. Our favorite puppy foods have proteins as their first main ingredients, not to mention all the nutrients puppies need to flourish. We’ve written extensively about the best puppy foods here, and Hill’s Science Diet Puppy Food is just one great example. And for the most petite pups there’s Hill’s Science Diet Small & Toy Breed Dry Puppy Food. Both contain DHA that supports brain, eye, and skeletal development as well as antioxidants and vitamins to maintain a healthy immune system! We also love Taste of the Wild Grain Free High Protein Natural Dry Dog Food which contains lots of protein for lean muscle development as well as superfoods, antioxidants, DHA, and smaller, puppy-friendly kibbles. Treats are a must-have when it comes to new puppy essentials! Since training begins in puppy-hood, you’ll want to have a constant supply of treats on hand to make the job easier. Since you’ll be using treats almost daily as a training tool for your new puppy, you’ll want to get the healthiest treats possible. Also, be sure to seek out treats that are soft and easy for a puppy’s tiny teeth to chew. Some of our favorite puppy-approved treats are Wellness Natural Grain Free Puppy Training Treats. 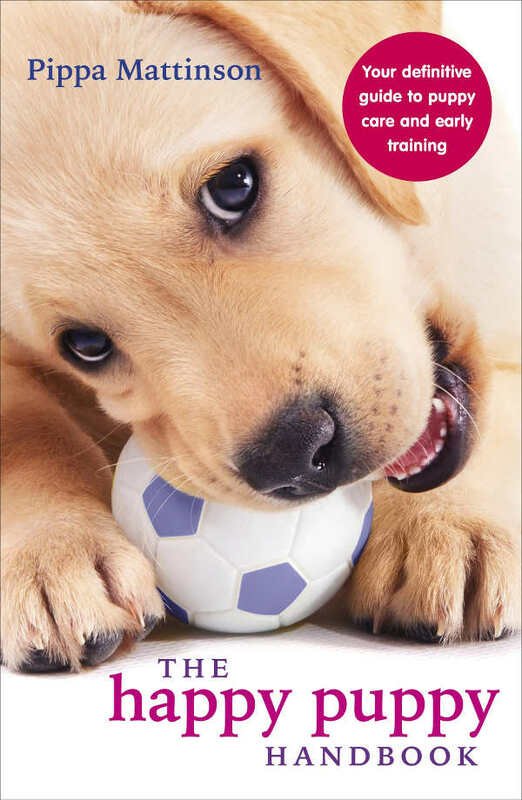 And while you’ll want lots of treats on hand for training, also keep in mind your puppy may go through teething. Teething puppies chew, so to reduce their pain and keep your furniture and shoes safe, try out the DHA and calcium infused N-Bone Puppy Teething Rings. When wondering “what do I need for a puppy?” it seems like water and food bowls are kind of a no-brainer. Still, we recommend ceramic or stainless-steel bowls since they are easy to clean and won’t harbor bacteria like plastic does. Plus, ceramic and stainless-steel dog bowls are dishwasher safe and come in hundreds of cute designs! This non-tip bowl from Mason Cash is a design classic that comes in five different sizes. This non-slip doggy dish by Super Design makes cleaning up after messy eater a breeze by catching scattered crumbs. And for some extra flair, check out this pink stainless-steel no-tip bowl by Weebo Pets. Whether you are planning to crate-train or you want to use puppy pads, you’re going to need something to keep your puppy’s potty off your floors! Crate training? Here is a basic metal dog crate by Carlson Pet Products. And for those of you who are on the move often, perhaps you want something a bit more portable for your puppy? Why not look at getting a foldable dog crate by 2Pet? Keep in mind you’ll want to make your puppy’s crate a comfortable space he feels safe in. Line the floor of the crate with soft bedding and be sure to offer your puppy his favorite toy while he is in there. Now, what about puppy pads? Why not try HARTZ Home Protection Lavender Scent? These pads lock moisture in which helps to prevent odors and leaks, and the best part is that the urine doesn’t spread along the pad. I’m not going to lie, picking out my puppy’s collar, leash, and harness was like picking out baby clothes. I had way more fun than I should have had! But all fun aside, there is more to a collar, leash, and harness than just aesthetics. Your puppy is new to “wearing” things, so when picking out a collar, look for a soft, adjustable one that won’t irritate his sensitive neck. Keep in mind that you’ll likely go through many collars as your dog grows and ages. For now, get the one that suits his puppy-needs. These puppy collars from Blueberry Pet are a sweet place to start. You will also want a leash that is about four to six feet long. Keep in mind that your first few walks are going to be pretty interesting since most puppies have no idea what a leash is or why it’s attached to them. Blueberry Pet also make a collection of durable leashes in a kaleidoscope of colors, perfect for your puppy! And because puppies are small, we recommend harnesses instead of attaching the leashes to their collars. 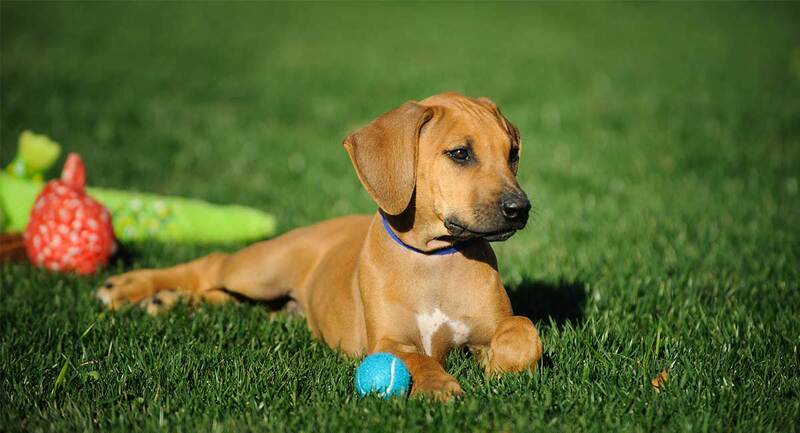 Puppies can be susceptible to tracheal collapse and other injuries if too much pressure is applied to their throats. Here are some soft, adjustable harnesses by EcoBark Pet Supplies. 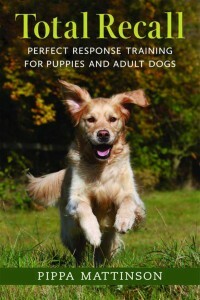 You are not going to want to let your puppy wander the house while you’re in the midst of training him. For one, puppies have no idea they are supposed to be potty trained and will just go wherever they please at first. Not to mention that puppies are like toddlers, and they tend to chew on things they shouldn’t like wires, furniture, and clothing. So, while you’re in the middle of puppy-proofing and potty training, we recommend puppy playpens, like this foldable metal exercise pen by AmazonBasics. We also like this portable playpen option by Unleashed. As mentioned above, puppies can be like toddlers and you’ll have to puppy-proof your house for a little while at first. There are likely going to be areas you don’t want your new puppy to be in like the kitchen or the basement or your living room where you just put that new dry-clean-only rug. These expandable gates from Regalo look exactly how you’d expect them to, and do the job well. If you don’t want to have to see your gate while its not in use, a retractable gate like this one from Animals’ Favorite might be the answer. Puppies love to play, so you’ll want to keep yours entertained so he doesn’t become bored and therefore destructive. 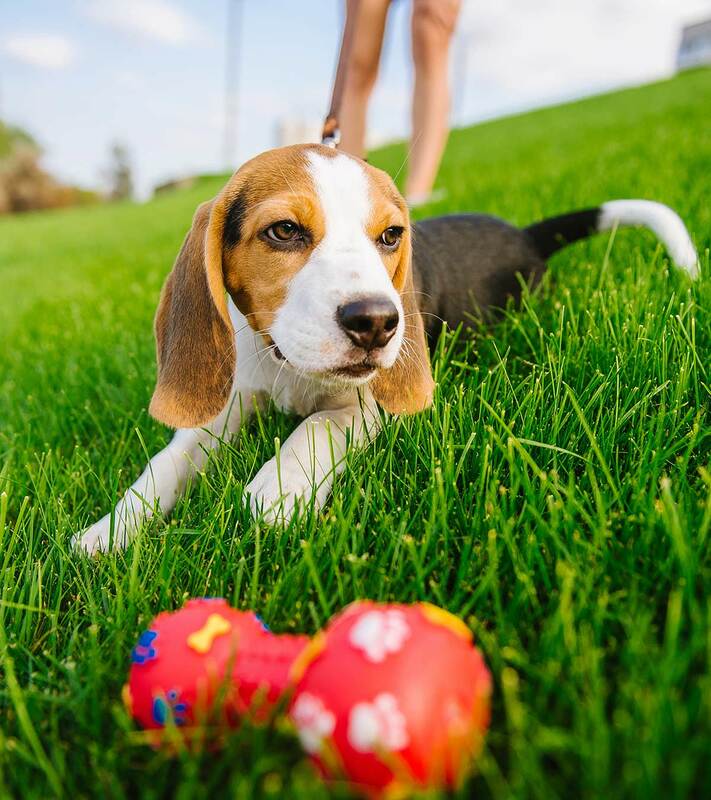 The American Kennel Club recommends 5 to 6 puppy toys that you can interchange, keeping your puppy on his paws and busy at all times! My puppy absolutely adores her Pets Skinneeez Crinklers toy. It’s crinkly-noises keep her entertained for hours! We also love this puppy toy set by Yotache. And this toy that doubles as a treat dispenser by PetSafe. Just like babies, puppies love being warm and snuggly during nap and bedtime. And just like babies, their bedding needs to be soft and gentle, yet withstand a lot of washing! These puppy blankets by Comspart come in a handy multipack, and can be washed over and over again. This easy-to-clean pet bed from Animals’ Favorite comes in different sizes so you can always find the perfect fit. And I know my puppy feels like a princess in her Deep Dish Cuddler bed! It’s machine washable, and has a waterproof bottom. Regardless of the puppy bedding you choose, we recommend that you get some extra bedding to interchange in your puppy’s crate or playpen in case of accidents. All dogs need a bit of brushing in some form or another. A soft-bristled brush such as the GripSoft Bristle Brush is perfect for everyday brushing and getting your puppy used to being groomed. For puppies with longer hair, you’ll want a metal comb like this double sided comb by LilPals. For a more “hands-on” approach, you can try grooming gloves. Grooming gloves are great for puppies who are big shedders. Along with a puppy brush, you’ll want to get a gentle, high-quality puppy shampoo. One of my favorites is made by Pet Care Sciences. This brand offers pet shampoos that are natural and do not only clean your pup but are also gentle on his sensitive skin and fur. I also like Burt’s Bees for Dogs All-Natural Tearless Shampoo and Conditioner. Not only do puppies have sharp, needle-like nails, but their nails can grow like weeds! Unless you plan on taking your puppy to the groomer once a week just for a nail trimming, we recommend you get a high-quality nail trimmer. Be sure to research how short to trim your puppy’s nails, as trimming too short could cause bleeding, pain, and even infection. However, not trimming your puppy’s nails could lead to cracking and breaking, which could also lead to pain and infection. These OmegaPet Best Dog Nail Clippers with Quick Sensor have a safety guard which lets you clip your pup’s nails without fearing you’ll cut too short. Last but Not Least, What Does My Puppy Need from Me? Along with consistency, patience, and lots of love, your puppy is going to need early health screening, veterinary visits, and plenty of socialization and obedience training. All of this is key to raising a happy, healthy, and well-rounded puppy! You know everything you need for a puppy and everything a puppy needs from you! Go forth now into puppy-parenthood confidently, and enjoy your new puppy! Is there anything else you had, or wished you had had, when you brought your first puppy home? Add your must-haves to the list using the comments box!